Lady Abyss and Lady Beltane have both noticed in their respective chatrooms that quite a few people come into either chatroom and do not participate in the chat. If the topic being discussed does not interest you no problem, send a message in the chatroom feed suggesting a topic you want to know more about or have knowledge to share about it, or if you have a question you would like someone to try and answer again post it on the chatroom message board. We want to hear from everyone who comes into the chatrooms. If you do not want to participate why bother coming at all to “visit” with other witches/pagans? Both chat rooms are open to anyone joining in as long as they follow Witches of The Craft and Coven Life’s guidelines. The open chat in WOTC’s chatroom is every Saturday starting at 10:00 AM CT to 1:00 PM CT. Here is the link to get into Lady A’s chatroom: WOTC Chatroom Since you enter the chatroom through the WOTC store Magickal Necessities come to the chatroom a little early and “window shop” in Magickal Necessities. There is a pretty large selection just start clicking on the items listed in the Menu. Lady Abyss and Lady Beltane both look forward to seeing you soon at one open chat. You are welcome to come to as many open chats as you would like to as you want to come to. The best thing for the CL open chat is it is unlike an Esbat, Sabbat, or special gathering is you can come and go from the chats as often as you want to. But please remember if you come to one of the chats you really should participate not just sit in the background like a stalker or something. Also, bookmark the chat rooms so when you want to chat all you have to do is click on the bookmark for both chat rooms and jump right into the room with a BIG HELLO or however you want to greet the others in the chatroom. If no one is in the chatroom when you first pop in go check out the WOTC’s store MAgically Necessities. 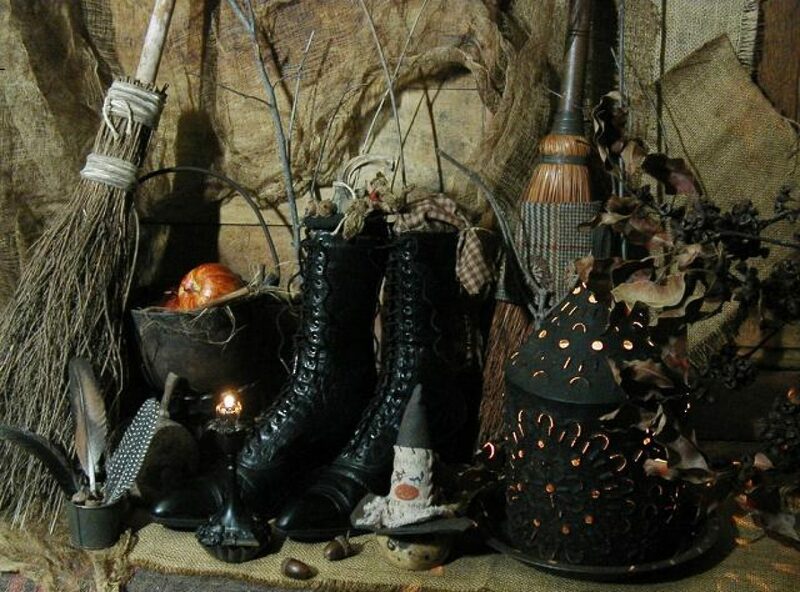 If you are trying to figure out what you may need for a spell or ritual please ask one of us and we will find it in Magickal Necessities and then send you the link to look at it yourself and then purchase it if is what you were looking. If you do not find what you want in the store just click on “Contact” in the menu or ask Lady Abyss about it in the chatroom. Yes, I know I put either item direct links into a post or the link for the store itself but I figure someone read this or another post with links it might not be aware of the fantastic Witch/Pagan supply store so close at hand and it does help WOTC cover the monthly running expenses. Support your, local merchant, just like you would in the town. you live in. Intuitive guidance can make life much easier. Intuition is your internal compass; a built-in GPS that can help you navigate through life! Trusting in this guidance is much easier when you understand what these sixth sensory feelings are for. So what exactly IS this magical intuitive goodness? A hunch? Sixth sense? Intuition is a guidance system that each and every one of ushas. It is the way in which your soul – also called the Inner Being or Higher Self – communicates with you. When we were born into these physical bodies, our souls didn’t just say, sayonara, see you on the flip side! Rather our soul, plus our spiritual helpers (Spirit Guides, teachers, angels, etc.) agreed to help support us through life. It would be excellent if we could just call our Higher Self and Divine helpers on the phone, but since we can’t, they connect and guide us through our intuition. Intuitive guidance can help with everything from deciding what to wear to deciding if you should move across country. No job is too big or small for your intuition! And because intuition comes from your soul, it always guides you for your best good. And who can you trust more than you and your spiritual team? Intuitive guidance is natural. It’s our birthright and we ALL have it, even animals. Actually, we could learn a lot from our furry friends. Have you ever noticed how your pet trusts their intuitive guidance? They lick the face of your bestie, but growl at the new person you’re dating? First, that would be hysterical. Second, Sammy wouldn’t call his friend, Fred. He’d just hiss and run under the bed. Animals don’t override their intuition with logic the way we humans do. My daughter was having some challenges due to a learning disability. Since I homeschool, I was starting to feel really stressed. I read everything about what we should be doing to help her, but nothing FELT right. I had a strong urge that kept telling me, just do what you think is right. Weeks later, a psychologist recommended to me, based on her educational testing, the EXACT books I had started using with EXACT instruction on how I had been using them! Intuitive guidance doesn’t have to be super dramatic. You can receive and ask for guidance on anything. With practice, you’ll learn to trust and rely on your intuition as much as Batman relies on Robin. Psychic ability is the ability to tap into the unseen world around us; the ability to perceive subtle energies, auras, Spirit energy, etc. Everyone has intuition, but not everyone is psychic. That said, pretty much anyone can develop at least some degree of psychic ability. Why not? We’re all spiritual beings. Bottom line: Use the KISS philosophy – Keep It Super Simple. Enjoy intuitive guidance and have fun with it. That’s more important than anything else. You’ll understand it more as you practice using it. Many people forget that they are spiritual beings. They are present in their physical lives but forget about their sixth sensory feelings. That’s about as sad as eating a cupcake with no frosting. All we need to do now is tune you up a bit so that you can start using intuitive guidance. Sounds simple, doesn’t it? Honestly, you’d be surprised how many people wonder why they aren’t getting any intuitive guidance, but never asked for any. Start making a habit of asking for help with anything and everything, and see what kinds of feelings or signs you get. Raising your vibration helps you feel more joyful and connected to the essence of who you really are. It’s pretty easy to do! Anything that makes you feel happy raises your vibration: Music, art, dancing, relaxing on a beach, woodworking, etc. Meditation also raises your vibration and quiets your mind. The great thing about meditation is it trains your mind to quiet down a bit so that you can hear the intuitive guidance being given to you. It’s hard to hear your Authentic Self and spiritual team when your mind is full of ego-based thoughts. Meditation pushes all those thoughts aside and allows room for spirit. Do you think if you made gluten-free French toast every day for a year you’d get pretty good at it? I’d say you’d be a ding-dong great gluten-free French toast maker! Do you think if you started practicing receiving intuitive guidance every day for a year, you’d get good at it? I definitely think so! Don’t get frustrated when you first start asking for intuitive guidance. Like Dory did in Finding Nemo, just keep swimming. You might feel like you are muddling around at first. But in time, the guidance will become easier and clearer. Where does intuition come from? Exactly where does all of this sixth sense goodness come from? More importantly, how do you know you can trust it… and how can you get more intuitive guidance? Today, let’s explore the fascinating answers, which I promise, is going to knock your socks off and be super eye-opening. At some point in your life, you’ve probably had a gut feeling, a hunch, felt inspired, or just knew something. That was your intuition guiding you. Intuition is the way that the non-physical part of you – your soul (also known as your Higher Self) – communicates with you. Best yet… your soul can guide you in every way. It can help you with huge decisions and “big stuff”, and everyday “small stuff”. It’s like a GPS and Dear Abby all rolled into one! Something told me to do (or not do) it! I just knew that I had to do that! Something stopped me from (taking a certain action that would have led to danger). What to buy your niece for her birthday. The school that would be most beneficial for your kids. The color you should paint your living room. Everyone has intuition… you, me, Selena Gomez, and the kid that bags your groceries at the market. Intuitively know what your child needs before his teacher or doctor tells you. Have a feeling that this is the wrong time to buy a new car, even though everything makes sense financially. Have something telling you that you should put some extra business cards in your purse (only to later strike up a conversation with someone at the deli who is looking for the EXACT sparkly cell-phone covers that you are selling on Etsy!). Let’s go into more detail about your Higher Self and your Spirit Guides. You are ALWAYS connected to your Higher Self. Nothing can break your connection with it because it is you – it’s your Spirit – the non-physical part of you. Even when you are not aware of the connection (as many aren’t) or ignore it, it’s still there. Your Higher Self is the complete and true essence of you; it’s whole, perfect, loving, and carries all of your past life memories, as well as a basic “blueprint” of the things you desire to experience in this lifetime. Your soul is an infinite, non-physical energetic being. Your soul communicates with you by giving you intuitive feelings that help keep you on track with your desires and help move you towards joy. When you have a good vibe about something, this is your Higher Self/soul connecting with you through your intuition saying Yes! this person or situation is in alignment with what I really want. It resonates with your Essence. When you have a bad vibe about something or someone, this is your Higher Self telling you No! this is taking you off track of what you really want or there is danger – steer clear! BTW, if you’re ready to get in touch with your Higher Self, this post will teach you how! Part two of the answer to the question where does intuition come from is: Spirit Guides. Spirit guides are loving spiritual beings who are working magic behind the scenes to help you accomplish the things you’d like to experience. They love you beyond words and truly are our cheerleaders in spirit! Just like your Higher Self, they connect with you via intuitive thoughts and feelings. Spirit Guides help and support you in all areas of life. They can help with anything from getting a great parking space to putting the exact person in your path that leads to your dream job. Spirit Guides are the movers and shakers of the Universe! We each have a main spirit guide that stays with us for life. These are souls who we knew in a past life and that we have a soul connection with. We have other spirit guides who assist us with other aspects of life, such as parenting. Spirit guides can move in and out of our lives. Some are with us for a short time, and some stay with us for a long time, depending on our needs. In addition to your spirit guides, you have many other members of your spiritual “team.” There are masters, teachers, and of course, your loved ones in heaven! Your soul and spirit guides will love and support you in all ways. A great first step in learning to use and trust your intuition is to take baby steps. Ask for intuitive guidance on a small issue, put your logic aside for a few moments, let go and trust what you are feeling. I hope I’ve helped you answer the question where does intuition come from! Your psychic abilities can open at any time in your life, at any age. Of course, we’re all born with a “sixth sense”, but if we aren’t encouraged to use it, it can sit on the sidelines like the Patriot’s back-up quarterback. For most people, a new or expanded spiritual awareness comes with their psychic awakening. But of course, not everyone travels the highway toward understanding at the same speed. You may be losing interest in your friends, and making new ones with a similar focus. 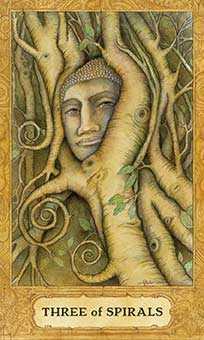 When you’re psychic abilities are blossoming, you may begin to see the world in a different way. It may feel like your soul is expanding. You feel excitement and curiosity, and have a desire for richer and more meaningful relationships and conversations. Talking about the latest episode of Game of Thronesmay be fun sometimes, but it’s not enough. You crave meaning and depth. Suddenly, you want lighter foods and it isn’t even summer. Fruits and vegetables have a different, higher vibrational rate than your old meat-and-potatoes fare. Many people with psychic abilities (myself included) follow a “psychic diet” that consists of high-vibrational foods. Why? Because we are all vibrational beings and high-vibrational foods can keep us feeling better physically, spiritually, and emotionally. At this time, you might REALLY feel your intuition kicking in. You might feel like you are being Divinely guided. You may be getting a lot of “signs” that you can’t ignore. None of us are “newbies” in the spiritual sense, but if using psychic abilities is new to you, I encourage you to take some time and learn about how your intuition works. This will give you a great understanding of why you’re getting signs, and where they are coming from. When your psychic abilities are opening up, your third eye chakra (located between your eyebrows) might tingle or feel pressure. As you develop your psychic abilities, you might notice that your physical senses become heightened, too. This is because your “clairs” – clairvoyance, clairaudience, clairsentience, and claircognizance – are opening up. How exciting! The loud t.v. irks you. The morning coffee smells more divine! You might notice one particular clair opening up (psychic hearing, for example), or all of them. Perhaps you “feel” Spirit around. Maybe a name pops into your head. Or maybe you see an image of your friend’s deceased grandma in your head. The Spirits connecting with you may be your Spirit Guides or loved ones who’ve passed away. When we are awake, our perceptive faculties act as guardians against unknown input. Huh? English please! A lot of people ignore their extrasensory feelings. We “debunk”, and say, that must be my imagination! When we go to sleep, our logical faculties also sleep and the next higher state of awareness can come out to play (and teach!). If you notice you are having more dreams, or vivid dreams, it’s another sign that your psychic abilities are waking up. Why not have fun with it and start a dream journal? When your psychic abilities open, you might develop an aversion to a particular place or individual because something doesn’t FEEL right. It may just feel “off” and you don’t know why. And what about the news? Um hmm. You may find that you can no longer watch it or read the newspaper. This is especially true for clairsentients or empaths who can feel the emotions of others. On the other hand, you can also feel when someone has a beautiful soul and wonderful energy! You start avoiding drama because it feels so yucky. You are learning to embrace your spiritual unfolding. You’re unpeeling layers of beliefs from your self, and spirituality becomes a new love for you. Have you ever exercised after not having exercised for a long time? What happens? You wake up stiff and sore the next day. For a lot of people, it’s similar when their psychic abilities start opening up. Using your clairs are like using muscles you haven’t used in a REALLY long time. But just like with exercise, you’ll get accustomed to receiving intuitive input and the headaches will go away. You’ll learn to get grounded and centered in time. Sometimes, you might have to “tweak” a bit. For example, even after 15 years, I still get headaches if I give too many readings in a day. As you adjust, soak your feet in warm water or have a foot massage to redirect the energy. Naturally, if the headaches persist, talk to your doctor. I hope you now have a little bit of peace about your psychic abilities. This arena is no different than any other new field of endeavor. You might be uncomfortable at first, but unfolding your intuition is a good thing. You aren’t weird; you’re wonderful, and you may well be ahead of the pack. If you’re called to spirituality, intuition, and psychic abilities – it’s your path. Congratulations! Psychic clairvoyant experiences are AMAZING. You get to see images, symbols, and even little “movies” in your head. But even if you feel mostly awesome about your abilities, there will still be times when you doubt yourself. We ALL have doubt sometimes – especially in the beginning when our intuitive gifts are first awakening. One day you know it’s all real and you feel like you are walking on sunshine! You feel aligned with your soul and oh-so-bubbly! You smile at the crabby teen who bags your groceries and send her loving pink light! You pick up your bag of carrots and bounce out of the market. The next day, you feel… doubt. You wonder if you REALLY have psychic clairvoyant ability. Am I just making it all up? But like Susan Powter said in the 90’s, it’s time to Stop the Insanity! I know – it can be tough to trust your experiences when the world around you perceives right-brain people as flakes. And it’s not like we can see or touch our intuition, so it’s doubly tricky! But I PROMISE, you CAN learn to trust your psychic clairvoyant abilities. I was THE Queen of Doubt! If I could learn to trust, so can you. Did you ever stop and think about how much we abuse ourselves with negative self-talk? A lot! Decide that just for this week, this day, or even this hour, you are going to trust the messages you get. Take Away: Today, give yourself the benefit of the doubt and have faith in yourself and your psychic clairvoyant abilities. Then watch for and EXPECT amazing insights to come to you. Would you give a kid in kindergarten a calculus book? Hmm, nope. You’d break out the flash cards and teach them that 1+1 = 2. 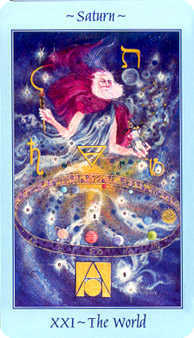 Starting today, ask your Spirit Guides for CLEAR images that you will be able to EASILY interpret. Ask for signs, too. When I was developing my gifts, I asked my Guides for “signs” all the time. I worried about getting the “right” message, and I needed a lot of reassurance from them. So if you are the same, don’t worry. Take Away: Your spiritual team is THRILLED that you are on the road to learning about and using your psychic clairvoyant gifts, so they won’t mind being asked for a sign (or 10!). Sometimes, you may get messages that seem just plain weird and wonder what your Guides have been smokin’. For example, I was giving a mediumship reading once and saw a glass eyeball in my mind’s eye. Yes, you read that right… eyeball. As my client sat across from me, I convinced myself that this vision was completely wrong, that I sucked, and that I should go back to school for accounting. But guess what? She knew exactly what the glass eyeball was all about! It does take some practice to learn how to interpret these messages, especially when they are sent as a symbol or metaphor. So don’t beat yourself up. Baby steps. If you can’t figure a message out, ask your Guides for help clarifying what you saw. Take away: You can trust your Spirit Guides. These bundles of energy could be chilling with Source right now, but have chosen to help you out, so know that whatever they send you, is golden. It’s totally exciting when you start seeing real progress in your gifts, and it’s easy to overshare. For example, you decide to quit the job you hate and become a freelancer. You’ve always wanted to do this, but finally feel ready because of messages you’ve received through your psychic clairvoyant abilities. But the truth is, not everyone will understand. Some will think that you’re so open minded that your brains fell out. You’re listening to your clair-whaaaat? So, it’s a good idea to think carefully before sharing this information with certain people. You know the ones. They live solidly in the left-brain, logical world and they simply wouldn’t understand about feeling called or guided. It’s not that they wish you to be unhappy. It’s that they don’t get it. They haven’t opened up to their intuition so they can’t relate. It’s like they speak a different language. Take away: It’s so easy to second-guess yourself during this phase. Keeping certain info on a “need-to-know” basis allows you to share with the people that will encourage you – not the ones who won’t. OK, you’ve asked for help from your Spirit Guides and you are choosing to trust yourself. Now what? You are going to start getting messages, babe, believe it! One easy way to learn to trust your psychic clairvoyant gifts is to keep a journal of your experiences. Write down all of the messages or answers you get. Write down your dreams, your visions and any other communications, too. Take away: This will be a huge help at times when you feel doubt. You will be able to look back to see the “facts” in black and white. It’s also fun to be able to go back and read your journals later on! To get messages, it’s helpful to have a high vibration. Remember, all energy vibrates at a certain frequency. Spirit energy vibrates really fast (because it’s not weighed down by a physical body or negative energy). When your vibration is high, you’ll feel how much easier it is to receive and TRUST the psychic clairvoyant messages that you are receiving. Raising your vibration is easy: Do more of what makes you happy and stay away from negativity. You might be thinking, but have you met my in-laws? I’ve talked to many people – myself included – who have had to TRAIN themselves to put their happiness first. It feels weird in the beginning, but it starts to feel more natural the more you do it. Take away: A high vibration helps you be a clear clairvoyant channel. Ask for guidance. Write it in your journal. If you don’t get an answer at first, ask for signs. Write them down in your journal. Take away: Make practicing a part of your day, every day. You won’t believe how quickly you’ll start trusting your psychic clairvoyant insights! 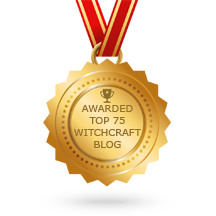 Becoming clairvoyant (or developing any of the “clairs” that improve intuitive ability) is fun and easier than you might think. But just like with anything new, it takes some practice and patience to get the hang of it. Do you think you could get a smokin’, ripped hot body overnight and without doing any work? If only! It’s the same with developing your psychic skills. Building your “psychic muscles” is a process, just like working out. But, in my opinion, it’s waaaaay more fun! This is an exciting journey for sure. But remember to be super kind and tolerant with yourself. If you aren’t seeing the progress you would like, just stick with it. It will happen! The most important thing is that we get the ball rolling and build up some momentum. Ready, let’s do this! Clairvoyants have strong visualization abilities. Soooo, it is really helpful to spend time on becoming a super visualizer. The more often you practice this skill, the easier it will become. It’s easier to receive clairvoyant images when your third eye chakra is open. That’s why spending time opening it is helpful. Spend a few minutes each day visualizing different images, pictures, and scenes in your minds eye is a really fun and relaxing way to develop clairvoyance. Imagine you are rockin’ a concert with Adele. Or walking through the Downton Abbey mansion. Perhaps you’re on a picnic with Mark Wahlberg. Visualize your dreamy scene with the intent of opening the third eye chakra and improving your clairvoyant abilities. Close your eyes. Imagine the number one in your mind. When you can hold the image for 10 seconds, move onto the number 2, then 3, etc., all the way to 10. Having trouble? Get some arts and crafts supplies and draw a big ole number one on a piece of paper. Go wild and make it creative. Cover it with glitter! Color it yellow and add black stripes! Stare at the awesome picture you just created for 30 seconds or so… THEN close your eyes and try the exercise. This will give you an image to start with. Do you remember playing the game Memory as a child? You know, the game where you place all of the cards face down, then flip over one at a time, trying to make matches? Memory is an excellent game to play to help become more clairvoyant. As you are playing, try “seeing” in your mind’s eye where each card is. When she’s done, walk back into the room. Study the items for 10-20 seconds. You can also do this exercise when you are alone. If you’re sitting on a park bench or in a coffee shop, study your surroundings for a moment. Then, close your eyes and visualize your surroundings, seeing as much detail as possible. This is a REALLY fun way to increase clairvoyant abilities. Pick up a pack of Zener cards . I did this with a partner years ago in a psychic development group. We were able to get 100% correct. It was AMAZING! Crystals are a GREAT way to open your third eye chakra. Place them near you when you meditate or lay them near your forehead when you go to sleep. You can also carry them in your pocket. This will help remind you of your intention to develop your clairvoyance throughout the day. Plus, crystals are just fun to carry. Period. Both lapis lazuli and clear quartz crystal are known for their abilities to open the third eye. Clairvoyant people often experience vivid dreams. Working with your dreams is a cool way to become clairvoyant. Plus, it’s practically effortless! Why dreams? Our Spirit Guides, angels and loved ones in heaven communicate with us through dreams. When we sleep, our logical minds rest and our subconscious mind can freely accept the spiritual guidance that we would normally ignore or overlook. Sleep time becomes “play time” for us as we astral travel and connect with Spirit (what else is our soul going to do while our body sleeps?). Keep your journal next to your bed to record your dreams as soon as you wake up. After a while, you may start to notice patterns and symbols that are meaningful to you. You may even remember a past life! Super fun, I know! Keeping a dream journal will also help you see how your clairvoyance is evolving.There’s no better motivation and inspiration than “seeing” how far you’ve come. Have you ever had your mom give you advice when you didn’t ask? 🙂 Well, your Spiritual family is also THRILLED to supply you with the direction you need. They always help for the highest and best good of your soul. Simply set the intention that you’re open to receiving intuitive guidance. Ask that they give you messages via your clairvoyance while you sleep. Don’t forget to write down the messages when you wake up. You’ve probably heard this a BAJILLION times, but meditation is essential to developing any of your psychic gifts. Why? It clears your mind, raises your vibration (which is how we can detect subtle Spirit energy), and gets you out of your logical mind. Meditation, like visualization opens your third eye. All mediation improves your mind’s eye ability to see, but you can also mediate specifically with the intention to become clairvoyant. And you can do it in just a few minutes a day. Get comfy, close your eyes, and take a few deep breaths. Set the intention to expand your clairvoyant abilities. Focus your attention on your third eye chakra. You will probably experience slight tingling between your eyebrows. This is normal and a sign that your third eye area is opening, further allowing your clairvoyant gifts to flourish. Yay! Are you ready to rock clairvoyance? And keep in mind that your Spiritual team has only your highest good at heart, and you can trust in them to safely guide you. If you need a change from clairvoyant exercises, you can always work on some of the other clairs first. This should be a fun process, and never stressful. Remember to have fun! The goddess of The World card invites us into cosmic citizenship — once we come to realize our soul’s potential for it. It announces the awakening of the soul’s immortal being, accomplished without the necessity of dying. You are always looking for meaning in your life and in the things and circumstances around you. You could frequently find yourself assessing what things may be worth, and your instincts are excellent for figuring out what is worth a further look. You dislike routine and love to keep yourself active; yet you crave stability and security. A long-term, stable job that also allows you to mix things up would be ideal. Your insatiable curiosity makes you extremely interesting to know, as your ideas are always intriguing. You make a wonderful friend and companion. Even so, there can be times when you are overly practical and logical when a softer touch is more appropriate. In love, you tend to go the distance, but you do need to feel that you’re growing and improving through a relationship. You are ambitious and, while very loving, you can be quite stern when irritated. Famous people born today: Dustin Hoffman, Keith Carradine, Connie Stevens, Donald P. Bellisario, Meagan Good. The year ahead is likely to be especially busy. At times, you may feel like the pace of your life is running ahead of you! You can be especially productive, however, in all types of communications–writing, speaking, learning, teaching, and so forth. There can be a stronger focus on past performance. You have Jupiter transiting in harmony to your Sun from January forward. Under this influence, you have a stronger than usual desire to improve, grow, and learn. This is a fortunate aspect that helps boost optimism and confidence, and you are able to attract fortunate circumstances into your life as a result. Problems are easier to resolve. Matters related to universities, higher education, organized religion, publishing, legal affairs, and foreign interests can be especially strong. It’s a favorable time to further your education, travel, or otherwise expand your personal horizons. You are likely to enjoy a larger perspective on matters that keeps you from getting lost in details or overly frustrated by everyday stresses. There can be a pleasant sense that you’re moving forward and growing this year. Your creativity is stimulated in addition to your excitability and your need for freedom. It is easier than ever to express your individuality in a manner that is true to you. In certain areas of your life, you’re inclined to rock the boat this year so that you can break free from a limiting situation. Be mindful when/if making sweeping changes. Personal magnetism is strong, although there can be some feelings of restriction in a key relationship or with money matters at times. 2018 is a Number Nine year for you. Ruled by Mars. This is a year of completion and transition. It is a time when we need to let go of things that no longer serve their purpose, and hold on to things that have a future. It is a time of cleaning out dead wood, not necessarily for new beginnings. It can be a time when a burden has been taken off your shoulders, and it can be a year of giving of yourself. Advice – let go of things that are holding you back, give of yourself and express your sympathetic, compassionate side. 2019 will be a Number One year for you. Ruled by the Sun. This is a year of action. The seeds you plant now, you will reap later. Others might find you less sociable, as you are busier than ever and you focus on your activities and your needs. Still, you are outgoing and your initiative is stronger than ever. Advice – Stand alone, take action, start fresh, express independence.